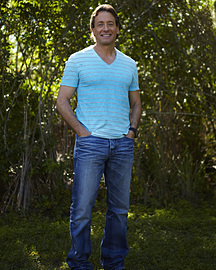 Andrew Lessman is the founder of ProCaps Laboratories, a vitamin supplement company dedicated to producing the highest-quality, most effective products available. Andrew Lessman founded what was to become ProCaps Laboratories in 1979 - back in what some consider "the early days" of vitamin supplements. Over than a quarter of a century later, Andrew Lessman's company remains one of the few that actually manufactures the vitamins they distribute, and the only one in its class for uncompromising quality. Andrew Lessman is still passionate about nurturing and growing the company he founded in 1979 -- and about providing the highest-quality, most effective supplements available. Based on cutting-edge nutritional science, new products continue to be formulated to enhance health, and new technology is being employed to deliver these nutrients more efficiently. - Founder of Andrew Lessman Foundation which has donated over 10 million 30-day supplies of prenatal supplements to women in need around the word and the US.